Gamification is a new trend with the long history. The role of games in teaching children was always very important, but the term “gamification” first appeared only in 2002. It means the use of game mechanics, design techniques, and other attributes in non-game environment in order to drive game-like player behavior. Besides mechanics and design techniques, the other game attributes are: gaming psychology, social activities, scripts and storytelling, and other aspects of games. In their turn, social activities consist of titles, leaderboards, public statuses, and other similar stuff. The term “non-game environment” includes customer engagement, work, e-commerce, volunteerism, education, fitness and health, community participation, etc. In its turn “game-like player behavior” implies such things as competition, interaction, engagement, learning, addiction, collaboration, awareness, etc. All of gamification techniques have features, which impact on people’s desires for competition, achievement, status, self-expression or altruism. Generally, influence is carried through the remuneration system. Users (or players) get their rewards for performing certain tasks. For example, they can do some of the proposed social activities within the community. 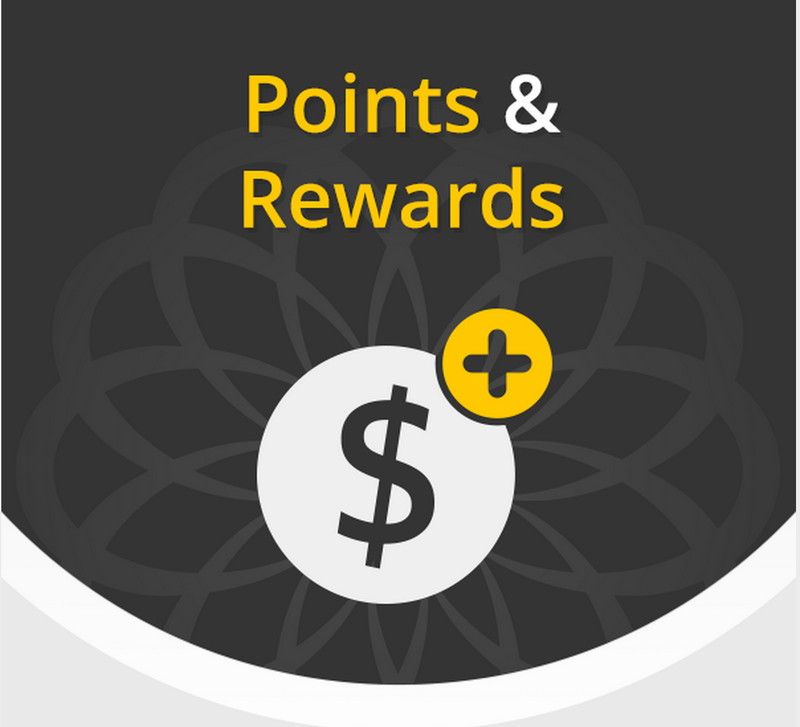 Rewards can be divided into several parts: points; levels and achievement badges; progress bar; virtual currency. Turning something serious into a game engages more people into the whole process. For example, typing games help people to learn how to type quickly without turning the process into a joyless torment, they turn routine into fun. Today, the market is full of similar offerings from different companies, in such conditions the leadership belongs to those, who can present their products and services in the most appealing way for the consumers, and not only an influx of new people but the retention of consumers current number requires new actions, and gamification is one of the most perspective. 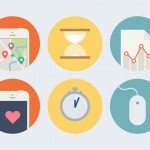 Besides this, the right gamification strategy can increase sales. Different gamification techniques and strategies are used to reach these objectives. Progress bar shows a clear picture of assignments completion and spurs people to reach full readiness and perform some tasks. 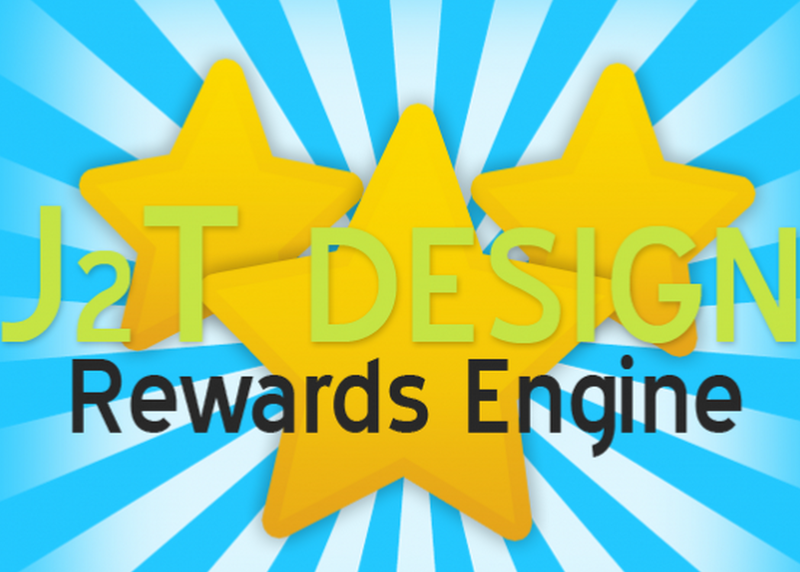 Reward system is also about performing different tasks for a reward (points, badges, free shipping, discounts, gift cards). Virtual currency provides users with the feeling of real action. Competition engages people into the process. Besides this, gamification adds fun to boring and routine processes. Thus, e-commerce and retail are industries which benefit most from gamification. Today we can see the transition of physical retailers into online. For customers it is much more comfortable to look for desired goods being at home than in a supermarket. This saves time and gives greater freedom of choice. Moreover, lower costs for the maintenance of personnel and shopping areas leads to reduction of prices. 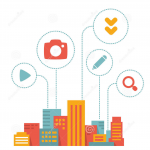 So gamification can not only keep the number of existing users and force them to perform certain actions, but involves new consumers and grows sales both within old members and newcomers. The main implementations of gamification in Magento are represented by AheadWorks, Lucky draw modules by Magestore and Apptha, Points & rewards by Sweet tooth, j2t and AheadWorks. 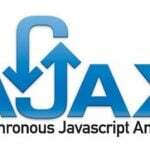 Let’s take a detailed look at what these implementations are all about. This extension illustrates more complex approach to gamification in Magento. 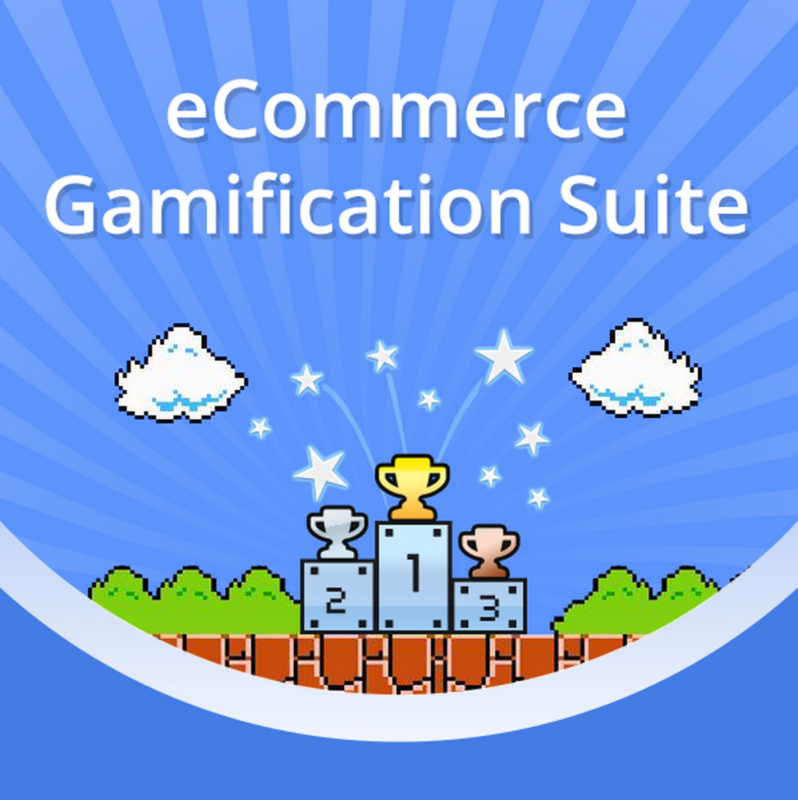 The core concept of eСommerce Gamification Suite relies on using a videogame in e-commerce experience. Games play important role in modern life of casual customers, and such things as Google Play and Apple Appstore are good examples of this, so AheadWorks shows one of major trends for gamification in online stores. Video games will always be popular, so using them as a tool for attraсting customers is a good idea. According to AheadWorks, their module transforms the website into a computer game with its passionate gamers and playing field. The competition drives customers to gain points, get achievements and ranks. All the participants know who is the best at the store and what has been done for it. Relation with gamers takes to a new long-term level. Encourage customers in activities by using reward system (customers get points for writing reviews, purchases and friends inviting). Let users rise through ranks (the feature is based on points system). Make clients compete for achievements (customers gain achievements for different activities). All customers transform into gamers (everyone can make a gamer account; the feature is compatible with Facebook Link). All game information is visible. Ego wall (the place, where everyone can find best gamers). System of notifications (every client receives notification if he or she gains new rank/achievements). Separate page for gamification rules. Special game controls for administrators. 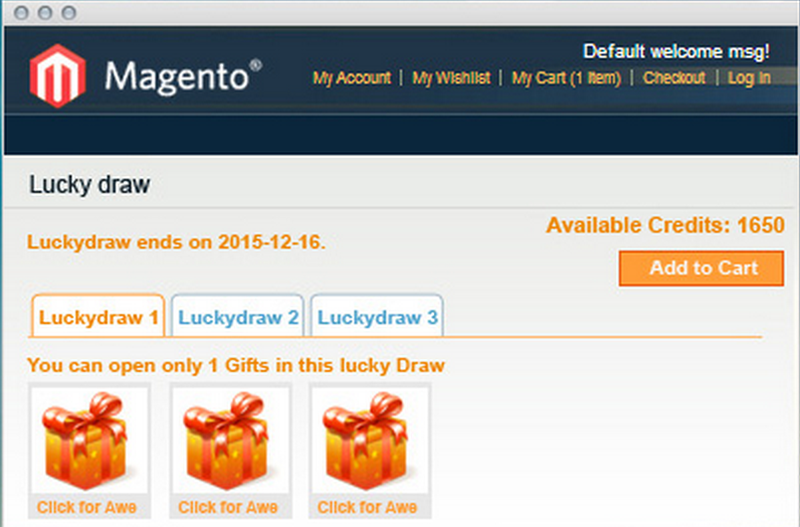 Random presents are always pleasant, and with Lucky draw modules they become a part of e-commerce store. Of course, there are customers which don’t pay any attention to this little addition to the web-site, but most buyers like such little surprises, so Lucky draw module can become a very useful addition to online store. The tool drives customers to perform certain actions, because they are interested in gifts, and with more actions performed they have better chances to get it. As a result, buyers spent more money on new goods or create advertising for free. Magestore Lucky Draw adds fortune game into the store. A chance to win any amount/item always brings excitement to users and makes positive impact on their activities. The essence of the extension reduces to the fact that all participants receive lucky codes without charging any amount or asking the customer to pay for an item. Performing certain tasks (inviting friends into store) gives users more lucky codes. All winners receive congratulation emails. Developer also claims, that is is extremely easy to use Magestore Lucky Draw for admins: they can set program name, prize, start time, end time and status for each program; manage all lucky codes in the system; and use almost everything as a prize. Luckydraw is the gift box with some random presents, which opens when the customer earns some particular credit points. Each product costs certain amount of credit points, which are earned by the product purchase. 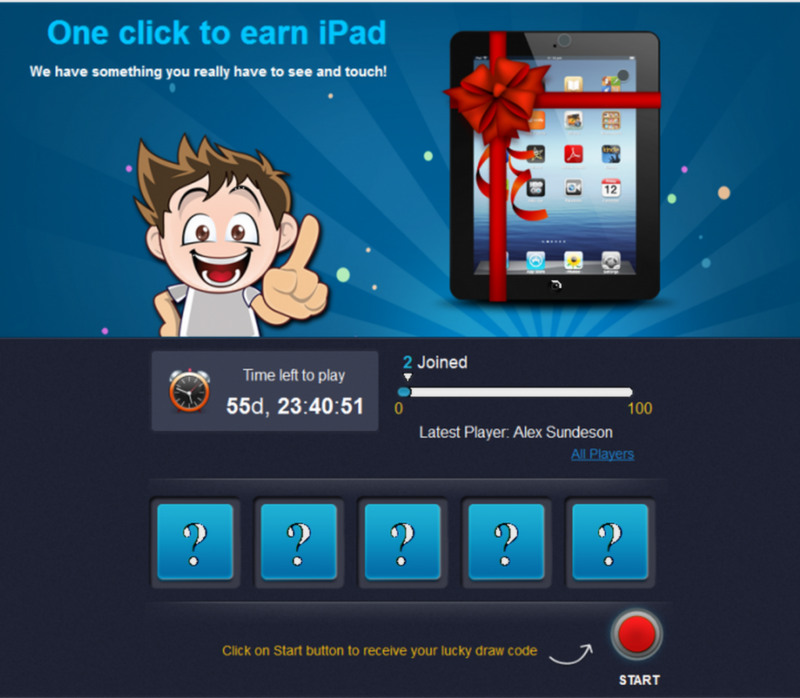 The levels of luckydraw are set by the site administrator, who can use different target credits. The luckydraw opens only for a particular period of time – a season. Before season ends, it is possible to open any number of luckydraws with the credit points. Credits can also be earned and used only in the season period. The same applies to gifts. Apptha Luckydraw includes two methods of implementation: Random and Custom. In the first method, the gifts are placed randomly for the users according to the weightage(level of luckydraw) parameter. For the second method all gifts are listed whereas setting up rule for luckydraw, selecting gifts for that particular luckydraw. This approach to gamification in e-commerce is almost the same as previous one, but without any surprises. Performing certain action customers get points, which they can turn into discounts, goods, free shipping or whatever else. Unlike in the previous extension buyers have much wider freedom of choice with the system of points & rewards. 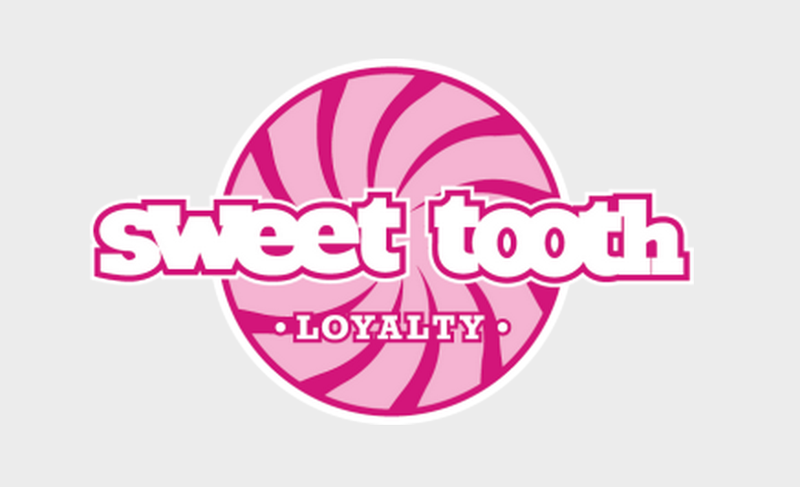 Sweet Tooth is the extension which adds points & loyalty program for Magento experience. 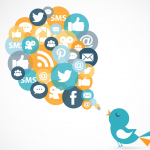 It allows web-store owners to create engaging loyalty programs for their buyers. System of points and rewards drives customers to purchase more products, more often. With Sweet Tooth merchant sets up the program to give points to a customer for performing some actions, for example, purchasing a product, and sets up how customers can spend their points. Catalog rules, сart rules for points calculation and notifications can be also set up manually by the merchant. These were three main trends of gamification in e-commerce released through Magento. Each of them has its unique features and leads to different customers behaviour. This means that the greatest impact on customers can be reached by applying more than one extension. Everything depends on the specialization of e-commerce store, its size, current user base and some other features.